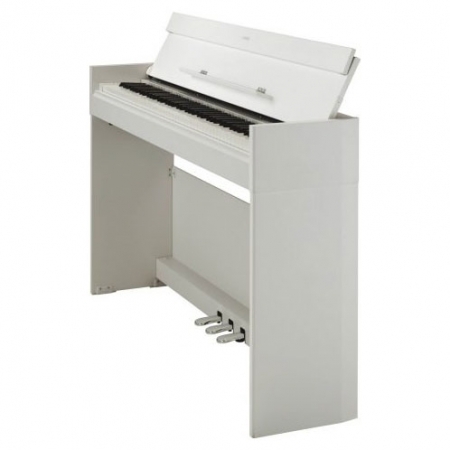 The Celviano family of pianos is synonymous with piano authenticity. When a traditional grand piano is impractical, players around the world delight in the natural sound and touch of Celviano instruments. The AP-270 delivers the quality and refinement you’ve come to expect from Celviano, in a compact-yet-elegant cabinet that compliments any space. 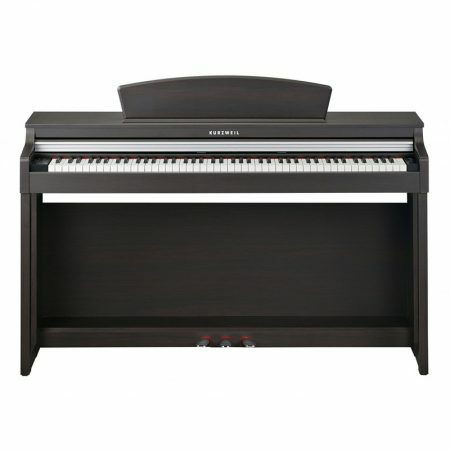 When the sounds of a grand piano and digital piano are compared, one notable difference is the variegated reverberations caused by the resonating sounds. 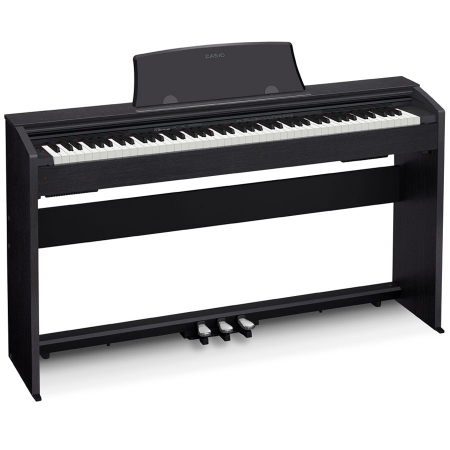 Casio’s Multi-dimensional Morphing AiR* Sound Source simulates such varied phenomena as the resonance produced when combining the sounds of all 88 keys or when stepping on the pedal, thus enabling reproduction of a grand piano’s sound quality. 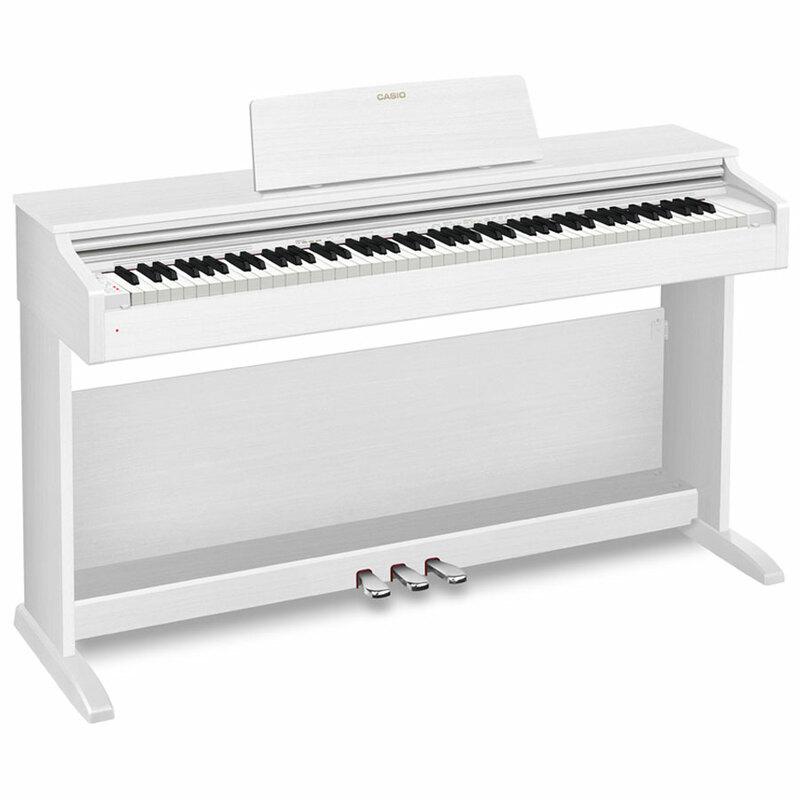 It also realises a wide dynamic range, from a soft pianississimo (ppp) too delicate to express with a conventional didtial piano to a powerful forte shissimo (fff). 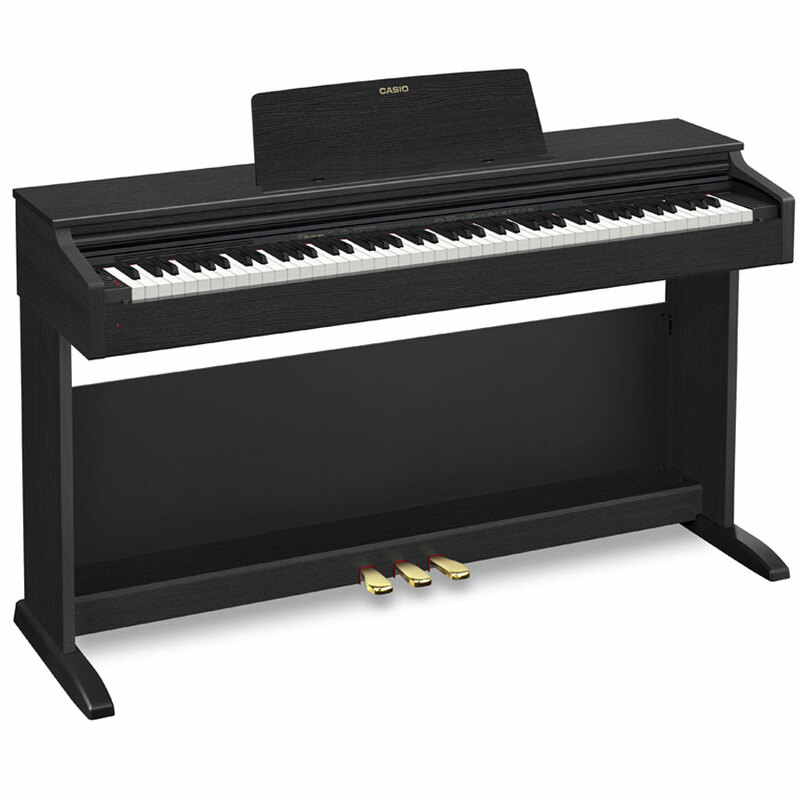 GRAND PIANO 1 – A superior instrument for powerful, richly reverberating performances. It reproduces classic grand piano sounds across the range from soft, delicate tones to strong, powerful tones, depending on the weight of the keystrokes. 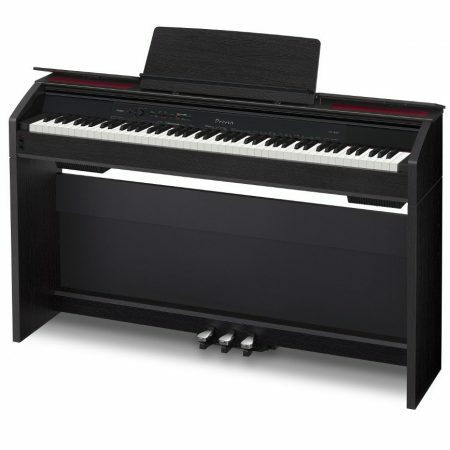 GRAND PIANO 2 – This is the right choice for bright, luxuriant performances. 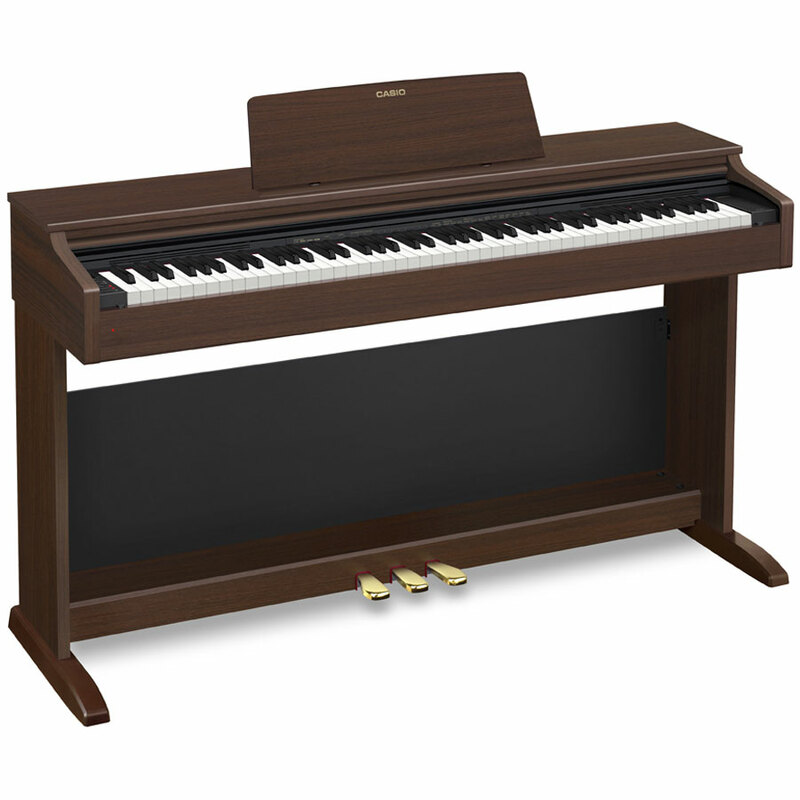 It makes its presence felt with crisp, straightforward sound, even when being played in a band. It’s tonality is ideally suited to jazz and pop music.